As we identify ourselves with this quotation we kindly invite you to our wellness centre in Žilina to experience a perfect relaxation for both your body and soul. Here you can fully indulge yourselves with the sweetness of doing nothing. At the same time you can enjoy the beneficial effects of the counter-current swimming pool, Finnish and steam saunas, and whirlpool. Relaxation in a counter-current swimming pool has positive effects on your health, reduces stress and tension, relieves tired muscles, releases endorphins, reduces pain in a natural way, and has many other beneficial effects. 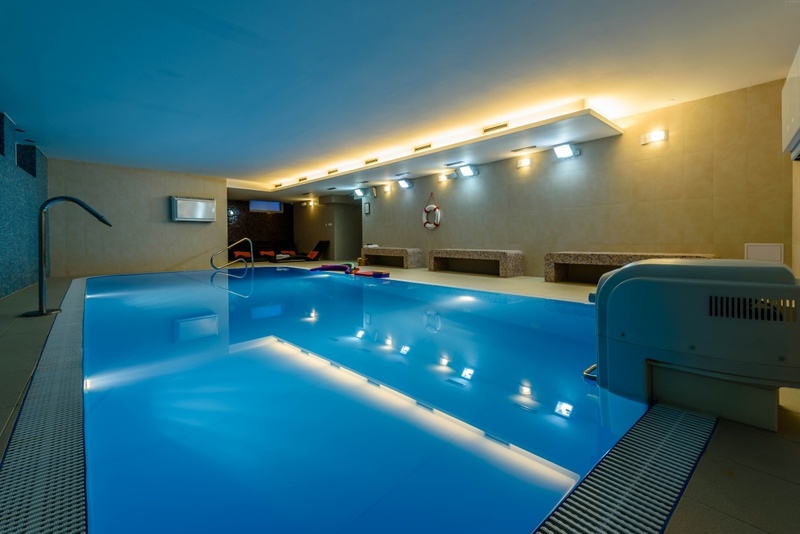 The cosy atmosphere of our pool in Žilina guarantees feelings of privacy. The pool is 10 metres long, 4.5 metres wide, 1.4 metres deep, and the water temperature is 29°C. 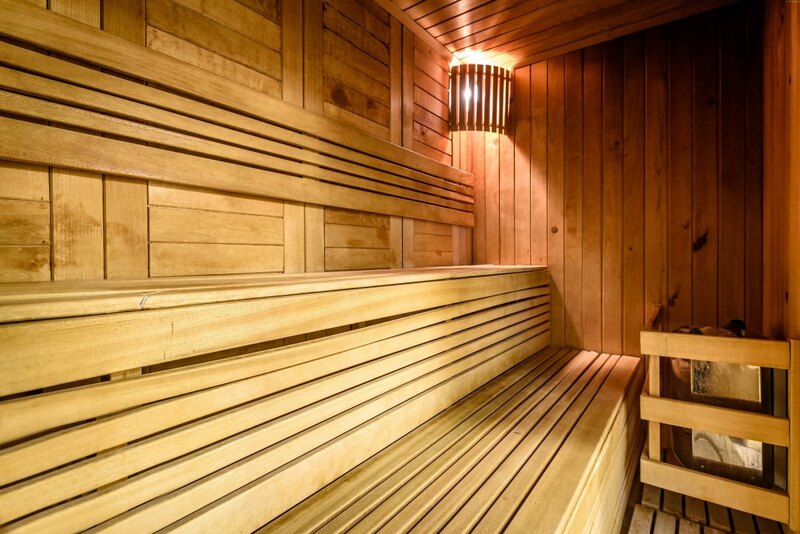 Sauna relaxes both body and soul, eases neural tension, brings mental and physical relaxation and recharges batteries. Sauna can bring your body and soul into a harmonic balance. Sauna is a fountain of youth, helps make your blood system stronger, improves your heart health and renews your complexion. The whirlpool contributes to peace and relaxation at any time of the year as water is a marvellous means of rehabilitation. 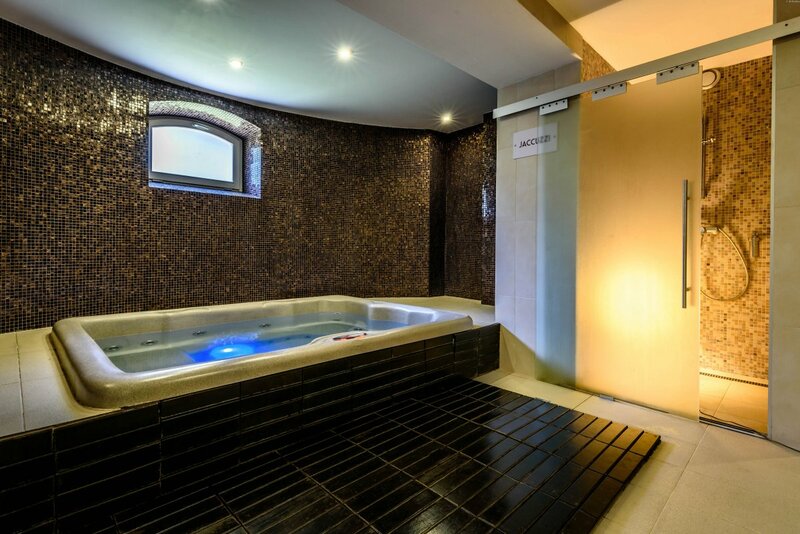 After the whirlpool it is recommended to relax or have something light to eat. The water temperature is 38°C. After 6 pm wellness centrum is available only for person over 12 years.